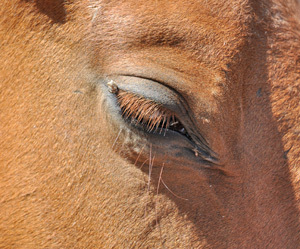 A reward of up to $US5000 has been offered over a sexually motivated attack on a pregnant mare in Waupaca County, Wisconsin. The money is being offered by the Humane Society of the United States for information leading to the identification, arrest and conviction of those responsible for sexually abusing the horse. The incident was reported to the Waupaca County Sheriff’s Office on Sunday, November 29. The farmer who owns the mare found her injured and bleeding as a result of an attack that most probably occurred overnight. The attack is a violation of Wisconsin law 951.02 which covers the mistreatment of animals. Waupaca County Sheriff Brad Hardel believes some sort of hobbling device was used to abuse the horse. The humane society’s Wisconsin state director, Melissa Tedrowe, said animal sexual abuse was a serious issue. The mare and unborn foal are expected to survive. Anyone who saw anything suspicious, or strange vehicles parked in the area around Crain Road, a half-mile east of Highway T, near the Twosnhip of Lebanon, is asked to call the sheriff’s office at 715-258-4466. Sick and disgusting shouldn’t be called a human.